Four people were killed Friday in a school shooting in a remote part of Saskatchewan, Canada, the Royal Canadian Mounted Police said. 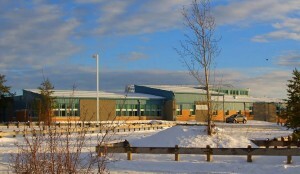 A male suspect was was arrested outside the La Loche Community School in Northern Saskatchewan, and taken into custody. “There’s no risk to public safety at this time,” Chief Superintendent Maureen Levy of the Saskatchewan RCMP, said Friday. According to its Facebook page, the school serves pre-kindergarten to 12th grade, with approximately 900 students. There is no word on possible motivation.